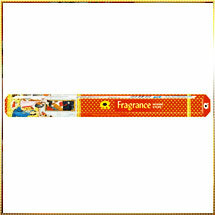 This Fragrance Incense Stick releases soothing and enchanting scent of which you will love to inhale every breath. As its name suggest, this collection of Incense Stick have irresistible fragrance that captures all your senses leaving you completely mesmerized. Made using premium ingredients like variety of biotic materials, essential oil, aromatic herbs and so forth, the fragrance offered by this stick delights one and all. Its natural ingredients allows you to inhale the smoke for longer period of time without getting your health affected. Our scented Incense Stick is also used in aromatherapy centers, spas, and other lifestyle solution centers apart from the religious rituals.